The National Social Protection Policy that came in force by 2014 will be implemented for a period of ten years to 2024. 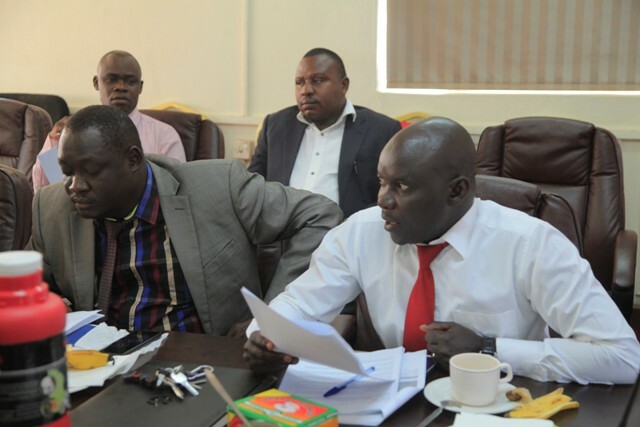 It was approved by cabinet on 4th November 2015 and launch presided over by H.E The vic3 president Republic of Uganda. The policy seeks to address the social protection to reduce vulnerability by building resilience so that people can withstand shocks that could force them into poverty. 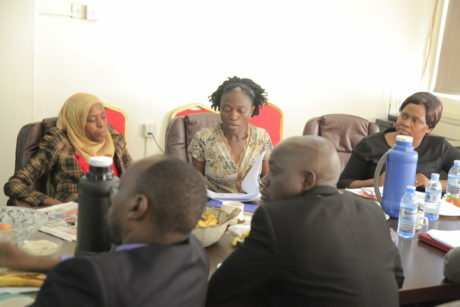 While presenting the National Policy to the senior members of the Ministry of Public Service Lydia Nabiryo the Senior Programme Officer whereas this policy has been known as SCG – Social Community Grant it was necessary to share the other components of the policy to stakeholders to appreciate and rally them to the implementation roadmap. 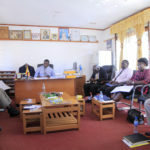 Nabiryo said that the targets groups include; Workers in the formal sector, informal sector, Orphans and other vulnerable children, Labor constrained individuals and households, Unemployed persons, older persons aged 60 and above, persons with severe disabilities and disaster affected persons among others. She also said that the problem of street children on Kampala streets has persisted because there are big people behind the Karamoja children who are always ferried to Kampala even when KCCA takes them back. The policy is aimed at supporting those who could afford to contribute and those who cannot government to come in save them when they become vulnerable. Commissioner SAVIA Mugwanya wondered whether the policy has addressed the efforts of partnership when issues of financial institutions that loan out to individuals’ small loans and when one fails to meet the obligation they are only out to grab the property in terms of security. 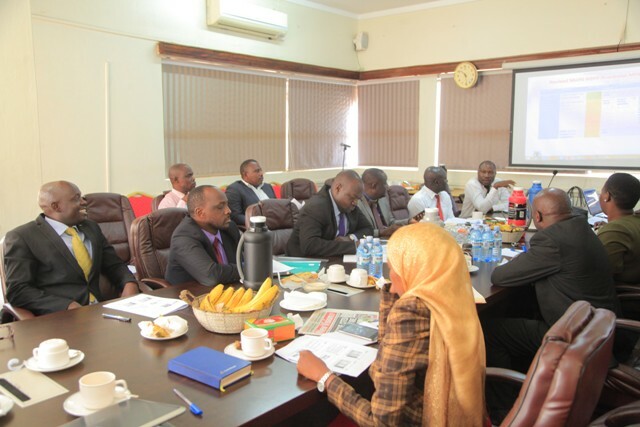 The Principal Accountant Regis if the NSSF and government Pension schemes that existed this policy was out to support them or another shift from the ordinary. The Assistant Commissioner ICT Patrick Mundua wondered whether this policy was not only emphasizing the handouts syndrome other than integrating the sustained strategies for poverty and vulnerability of persons. All this was responded to encouraging stakeholders to read and interest themselves in the policy document to get the detailed strategies of implementation.